Scoliosis is not a life-threatening condition. It is a condition that manifests through the excessive and anomalous curvature of the spine. Fortunately, these things can get alleviated if a person sleeps comfortably on an ergonomic mattress. Specifically, the best mattress for scoliosis is a needed amenity for individuals that have this particular condition. On the flip side, you can expect that the symptoms of scoliosis can get worse if you sleep with a wrong mattress. After all, the discomforts that can be caused by a poorly constructed mattress have adverse effects on the body. Therefore, people with special conditions like back pain and scoliosis should always be careful in choosing their sleeping amenities. Read on to learn more about these special mattresses! How Can Scoliosis Affect the Sleep? How to Choose the Best Mattress for Scoliosis? I did thorough research on the market today to see which among the commercial mattresses can provide relief to scoliosis sleepers. After hours of testing and double-checking, here is my recommended list of top bed for scoliosis that you should try. Many sleepers agree that the Sunrising Bedding Latex Mattress is a great choice for people that suffer from back pain and scoliosis. It is made from an adaptive latex foam that enables it to provide sufficient support in the body. This ergonomic construction also allows you to sleep in the mattress on the preferred sleep position that you want. The foam itself is made to be durable and high-grade. The latex is made from rubber trees that have been harvested from Thailand. There were no toxins, allergens, and other unwanted elements present in its manufacturing. I have noticed that this mattress has decent motion isolation, as the bounces that it creates are localized. It won't disturb you or your sleep neighbor! Another feature is that it doesn't cause too much humidity on your body. In short, you won't feel too hot while lying on it. The mattress has encased spring support under its layers. This design optimizes the support that the mattress can provide you. Furthermore, this mattress effectively doesn't cause pressure points. Such a feature is quite beneficial for people with scoliosis. Another mattress that I want to recommend is the GhostBed Mattress. It is as good as the Sunrising Bedding, especially in mitigating the symptoms of scoliosis. It has dense and durable construction, which ensures its reliability even if you use it for extended periods. It doesn't sag down, too. Sleepers with scoliosis sufferers will have their backs protected because it will never sink their bodies. Interestingly, It has combined memory foam and latex to double the support and comfort that it can give. It prevents your spine from being misaligned since it will always blend with your sleep posture. The gel memory foam ensures that you can sleep here with comfort and coolness. Of course, if you have scoliosis, waking up in the middle of your sleep is the last thing that you want to happen. For those with tight budgets, The Live and Sleep Resort Sleep Classic would be a great option. Aside from being an entry-level option, this mattress features exceptional ergonomics that can undoubtedly induce comfort to your body. The entire mattress has a medium firmness, which makes it a great mattress for people who needs constant support while they are sleeping. A super soft fabric has been espoused to this mattress. I really adore that soft and highly flexible textile because it is comfortable to the skin. It doesn't cause irritations or rashes, as it is guaranteed to be free from allergens and chemicals. A non-flip design also ensures that this mattress won't get thrown out of place even if you move too much. But don't worry a thing here. The Live and Sleep Resort Sleep Classic has exceptional motion isolation. In this way, your intended sleeping posture won't be disturbed easily. The plush construction of this mattress improves its overall breathability. No hot sensations can be felt while lying here. The Casper Sleep Mattress is another impressive option for scoliosis patient. It is a premium mattress that every people with scoliosis sufferers should consider. It has been engineered properly so that it can provide high levels of relaxation and support to its users. Even if you sleep here for long hours, your neck and back won't experience nasty aches and sores. As I have tried this mattress, I have immediately noticed its supportive feature. The mattress doesn't sink me at all. Instead, it immediately conformed to the shape of my body. Furthermore, it offers excellent pressure relief. The memory foam is particularly dense, which allows you to sleep without any painful sensations. Unlike other mattresses, the Casper Sleep Mattress is not bouncy. If you have scoliosis, you don't want your mattress to act like a trampoline. The mattress features the correct level of firmness so that you can find comfort in it. A cooling layer was also present on this mattress so that you can sleep here with no sweats at all. Even if it is the last one on this list, Nectar Queen Mattress is still one of the most popular mattresses in the market today. For one, this mattress is great for alleviating the conditions of sleepers that have scoliosis. As mattress can conform to the shape of your body, it can guarantee sufficient support and convenience. One of the best selling features of this mattress is its Tencel cooling cover. The said component enables the optimal circulation of air in the bed so that heat can be wicked off instantly. No heat can disturb your sleep here! The cooling cover also makes the mattress bug and mite-resistant. 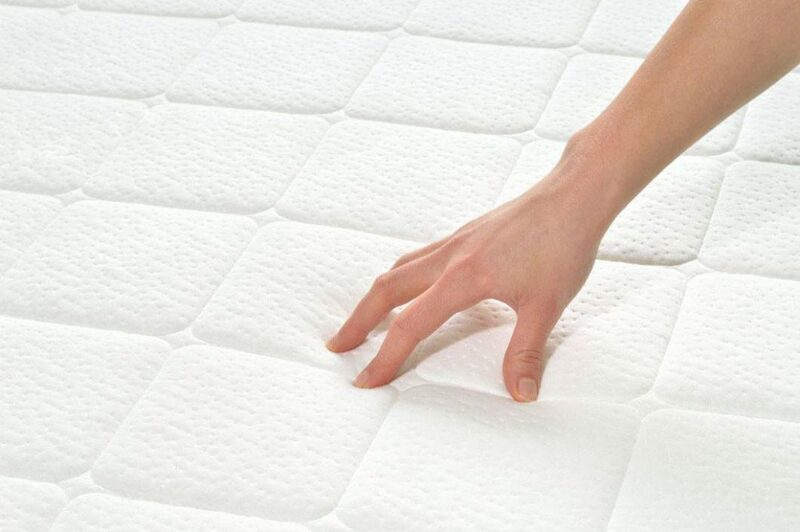 Specifically, it has a quilted memory foam that keeps you comfortable and free from unwanted pressures. Regardless of your sleep position, this particular mattress can support it. I also have to highlight the extremely dense core of this mattress. The core makes the mattress and durable, capable of accommodating different weight class. Once scoliosis gets severe, it can already affect your daily life. Even simple matters like sleeping can be affected by it. Sleepers that have scoliosis suffer from pressure and aches in different parts of their body. A friend of mine who has scoliosis often complain about the shoulder pain that she experiences while she is sleeping. It is also notable that pressure areas can develop on the sensitive regions of the body of sleepers that have scoliosis. 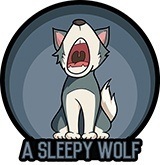 As a result, the pain that they experiences can cause disturbances in their sleep. People that have scoliosis must be wary about the sleeping position they take. If you don't casually move while you are dozing off, you should be able to do the appropriate sleeping posture. Here are the recommended sleep position for negating the effects of scoliosis. Experts recommend that you sleep on your back whenever you have scoliosis. I guess nobody has problems with that. This particular position helps in the gradual alignment of the spine. It also helps in the equal distribution of the weight of the person while they are sleeping. As a result, you can relieve pressure points as well as the frequency of lower back pain. Side sleeping can help those people who have scoliosis. According to some physicians, this posture is actually helpful if there is sufficient support given to the body. You should place a pillow on the knees and the lower portion of the rib region. The latter can aid in aligning the curvature of the spine. On the flip side, sleepers that have scoliosis should avoid sleeping on their stomach. It can aggravate the pain that you can feel. When you are sleeping on your stomach, the arches of your spine tend to curve irregularly. Of course, such unnatural curvature can cause pressure and pain for you. Living with scoliosis is quite difficult. The pain and inconveniences that it can cause anguish on your part. Any person who is suffering from this condition would immediately find options in where they can feel relief and alleviation. Treatments are available for scoliosis (Source: Healthline). Depending on severity, a physician can offer you a wide array of treatment such as bracing and surgery. But of course, there are non-invasive ways of achieving comfort to your scoliosis. It is crucial that you choose can support your body. For people with scoliosis, the comfort of a mattress refers to the flatness of its surface. It should be able to maintain an even shape throughout your sleep. You can take notice if a mattress doesn't provide any support on your body if it tends to sag on some of its parts. The firmness of a mattress has specific classifications. There are extra soft mattresses and extra hard mattresses. However, you shouldn't opt for them at all. For scoliosis patient, a medium firm mattress (scale of 5 - 6) is the most ideal. It is also essential that the mattress must be tailored from high-quality materials. Memory foam mattresses are among the most popular variants of products today. It is a great option because of its ability to conform to the shape of the sleeper. It also has properties that help regulate the external heat of your body. Latex foam is an excellent option if you want to sleep on a cold surface. It offers a unique mechanism to ensure that your body can feel cool throughout the night. Latex foams vary in firmness. Some are soft while others are relatively stiffer. People that are suffering from conditions like scoliosis are susceptible to motions that are taking place on their sleeping areas. Some mattresses are made to mitigate these "motions" from happening too frequently. Technically, motion isolation can limit your movements while you are sleeping. Typically, mattresses that are too firm or bouncy don't offer this feature. They are quite the opposite to the less-responsive pillows, which can provide sufficient motion isolation because they don't react to movements too much. There are other things that you can do to ensure that you can sleep soundly even if you have scoliosis. Sometimes, having the best mattress is not enough. You still need to employ some effective strategies so that your nightly resting time is peaceful and free from pain. Placing the pillows strategically ensures sufficient spinal alignment support. Scoliosis patients should always avoid the use of large pillows on their head because they destroy the natural alignment of your spine. For those that have thoracic curves on their spines, make sure that you can support your back by placing a thin pillow under the shoulder blades. When side sleeping, it is quite essential that a pillow is present in between your legs. For those that have lumbar curves, experimenting with different positions can be done. For starters, a pillow that is above or under the lower back is vital support for sleep. Aside from your head pillow, you can also try placing a small pillow under your neck. Make sure that the bed and the entire bedroom is conducive to sleep. The environment of your bedroom is also a contributing factor for the comfort and coziness that you can feel in it. Before you sleep, make sure that your sheets and beddings were properly arranged. Also, avoid the use of mobile devices such as cell phones. They can distract you from sleeping and encourage unnecessary movements. Sleeping soundly with scoliosis is still possible if you have an excellent and ergonomically made mattress. Specialized mattress with enough firmness and support ensure that your body is always safe from pressure points. They can also create your sleep smooth and comfortable so that you would wake up without any aches. Among all the products that I have featured here, I believe that the Sunrising Bedding is the best mattress . All the key features that we need for scoliosis-friendly mattresses are present on this item. It is highly supportive and adaptive. Furthermore, it has the appropriate firmness so that you won't sink in or bounce off. But regardless of your choice, I do hope that you have taken use of this article. I am expecting that with these resources, you can find the mattresses for scoliosis for you. That's it for now. If you have questions or suggestions on mattress review, feel free to ask me in the comment section below.